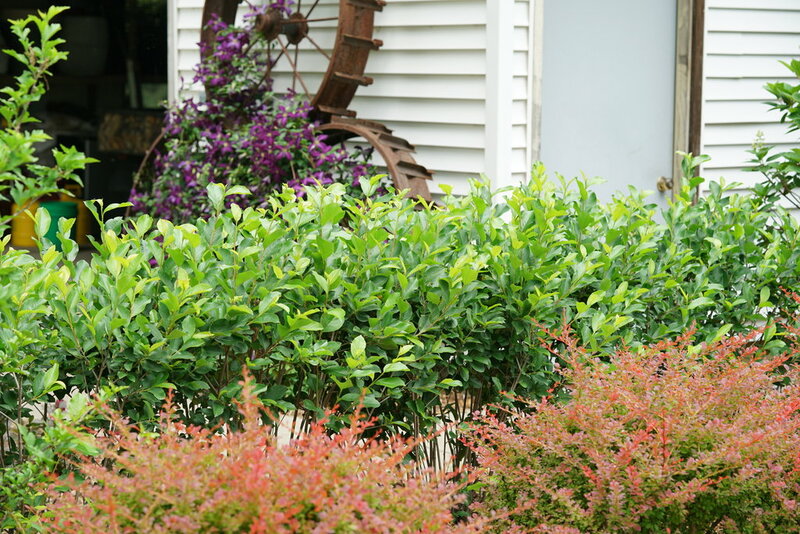 Beauty from spring to fall in an easy-care package. 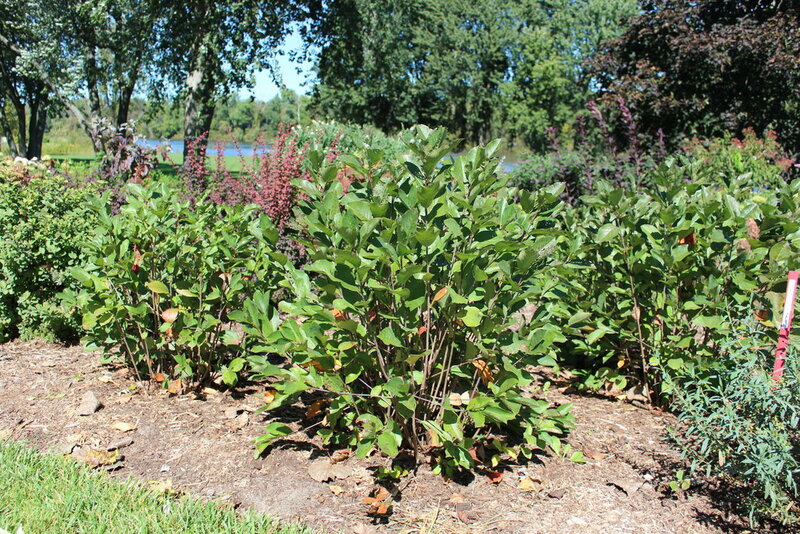 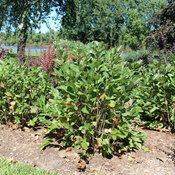 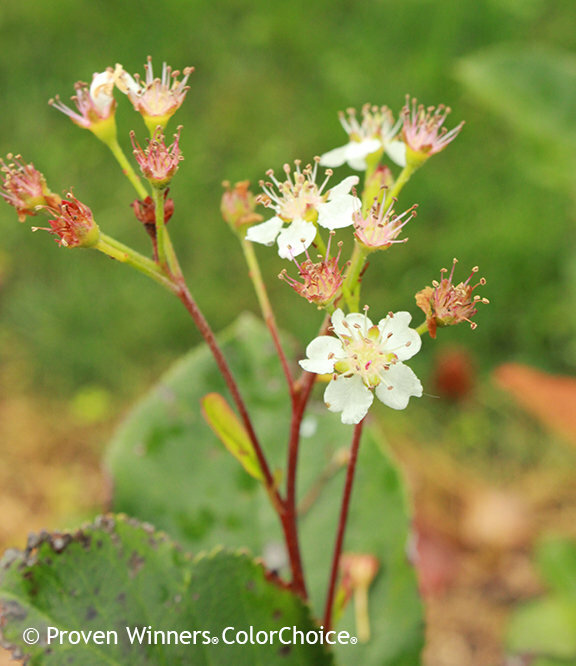 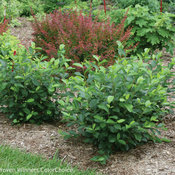 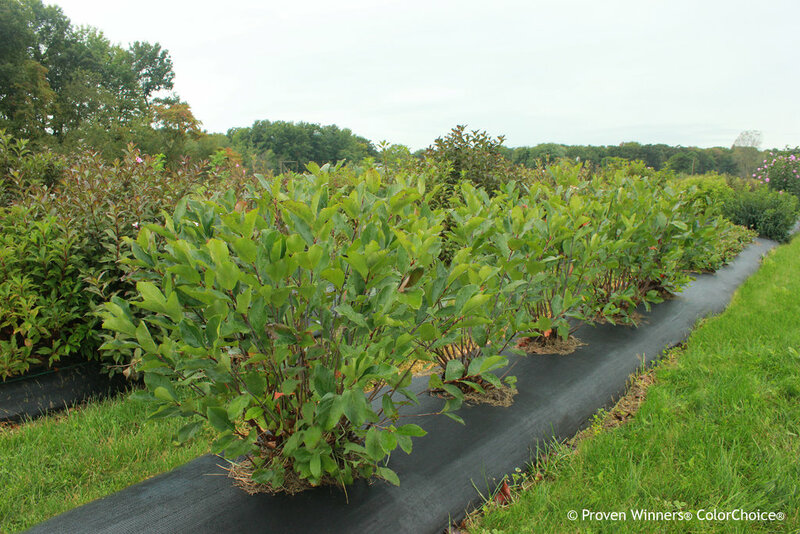 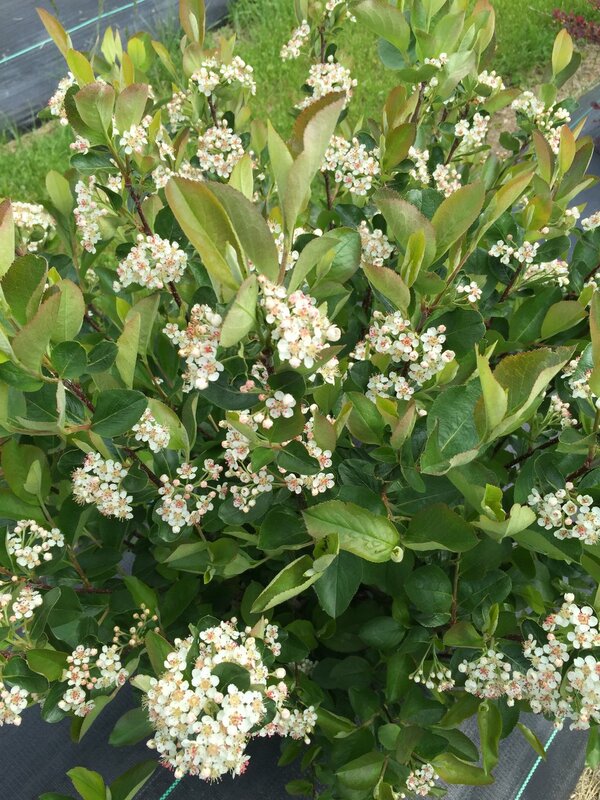 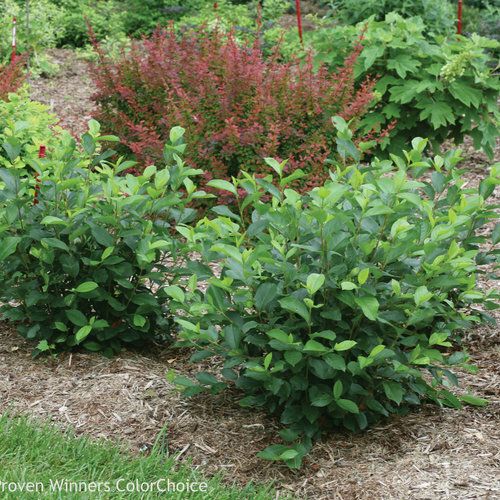 Low Scape Hedger aronia is a super versatile native flowering shrub. 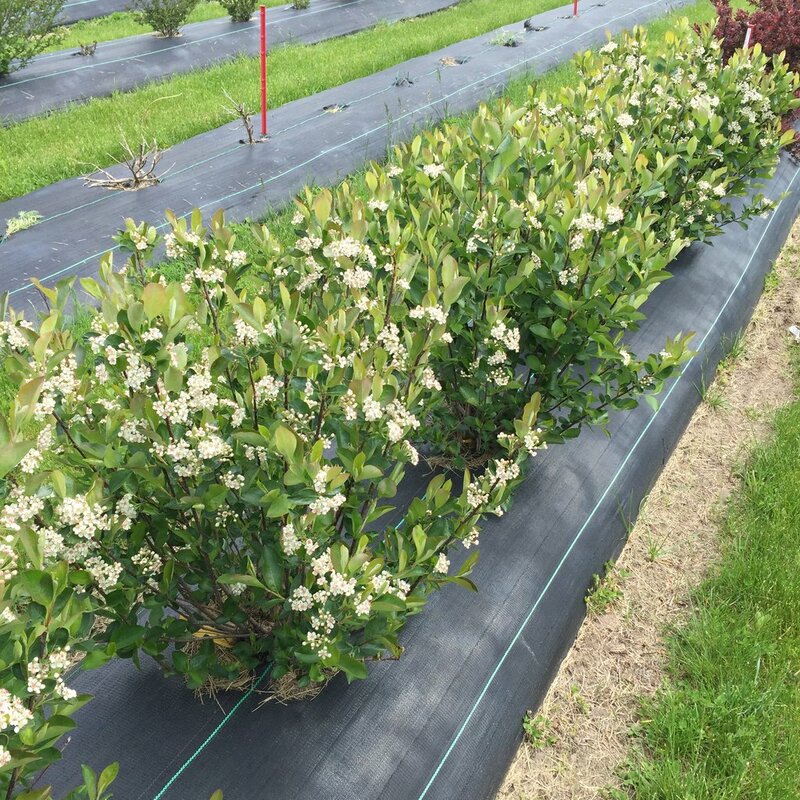 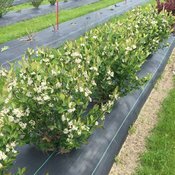 Reaching just 3-5' (.9-1.5 m) tall, it's a dense column of glossy green foliage that's perfect for low hedges or screening. 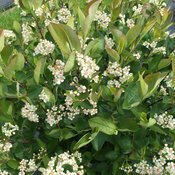 Spring finds the plant covered in hundreds of white flowers, and come fall, the foliage lights up in bright reds and oranges. 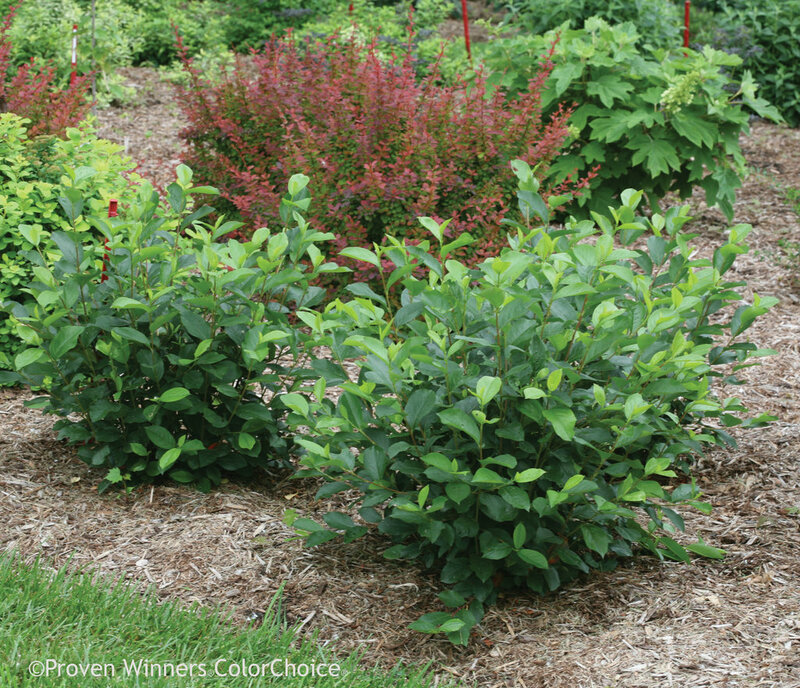 Low Scape Hedger grows well just about anywhere: in full sun or part shade, wet or dry soils, in hot climates or cold ones. 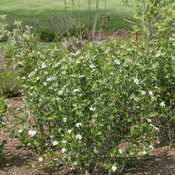 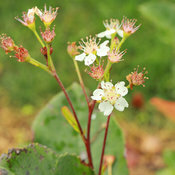 Non-suckering; Can be pruned into a formal hedge or left to grow naturally. 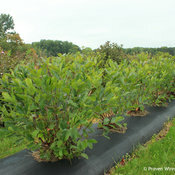 Low Scape Hedger aronia needs little to maintain its good looks. 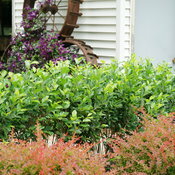 If pruning is required or desired, do so after it blooms. 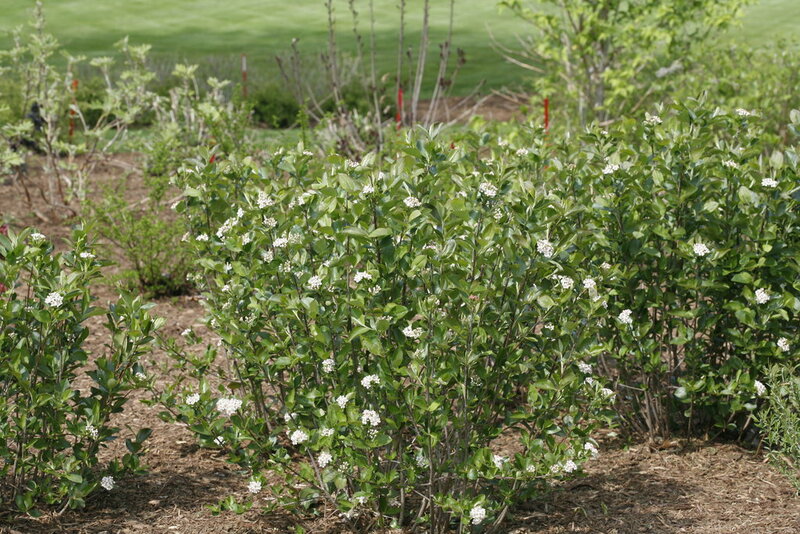 This variety bears little to no fruit.